Spring is here and summer's just around the corner, and at Barefoot Landing with the new season comes new shops and experiences for guests to enjoy! A few have already opened and others will be coming soon to the area's only waterway shopping, dining and entertainment destination. New shops joining an already incredible line up of fabulous and unique shopping include; Pearls & Co., Savannah Bee Company, Pick A Pearl, 3D Krystal Photos and Toy Kingdom. Pearls & Co., is a new jewelry store featuring the finest in pearl jewelry as well as gemstone, gold and silver. Pearls & Co. is located near Sunglass Hut and Tara Grinna in Harborwalk Village. Toy Kingdom, a toy store for the entire family, delights with toys, games and novelties, dolls, books and much more! You can find them across from Blueberry's Grill in Harborwalk Village. Savannah Bee Company, located in Low Country Village and across from The Mole Hole is a business grown from the owner's passion for bees, beekeeping, and honey. Shoppers will find the world's finest gourmet and raw honey, naturally luxurious body care products and a whole lot more when visiting! Pick A Pearl, is just as exciting as it sounds and is the perfect experience. Located in Low Country Village, at Pick A Pearl you have the opportunity to pick your own pearl straight from the oyster and then select how you'd like to have it set, choosing from various pieces of jewelry. 3D Krystal Photos, also in Low Country Village next to A Silver Shack is sure to create lasting memories through their unique approach of infusing the art of photography with advanced 3D laser crystal engraving. In addition to Barefoot's new shops, a few existing and well known venues have relocated or will be relocating soon to other locations within the complex. 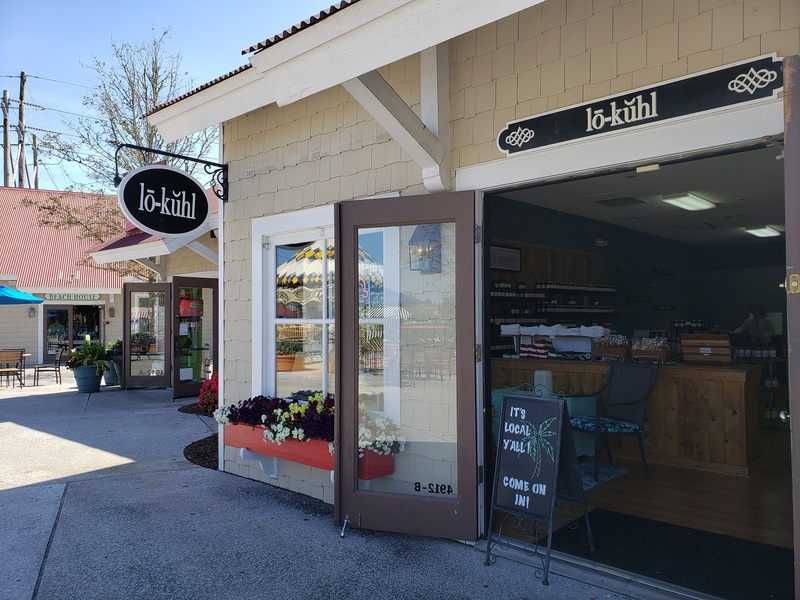 These include: lo-kuhl, now open in Lakeside Village near the carousel, Himalayan Litez, open next to Bully's Pub & Grill in Harborwalk Village and Sweet Molly's, opening in Dockside Village next to the amphitheater. 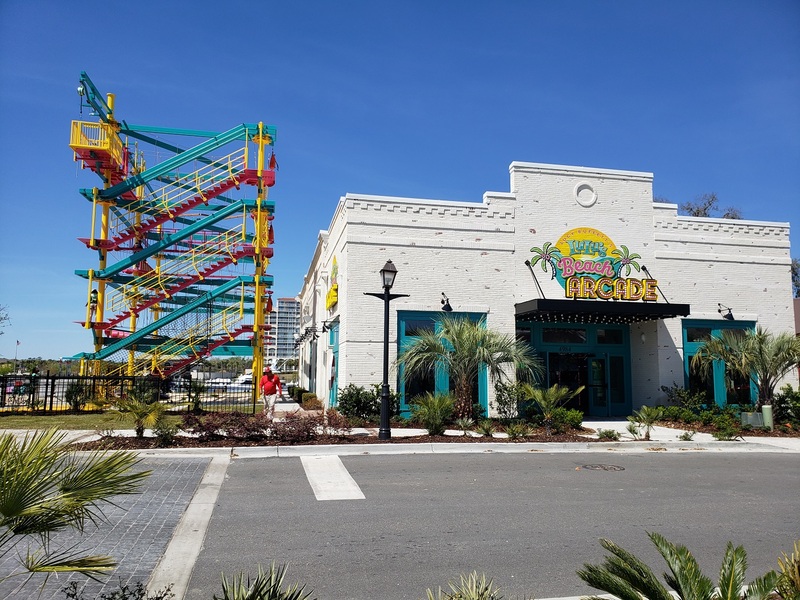 Lucy Buffett's LuLu's, which opened last summer, invites you to come be a kid again at their recently debuted LuLu's Beach Arcade & Mountain of Youth Ropes Course, located right next to LuLu's in Dockside Village. This new, exciting and adrenaline filled experience features games for all skill levels and ages in the arcade and offers 26 different obstacles on a 48 foot tall ropes course. Hey boaters! 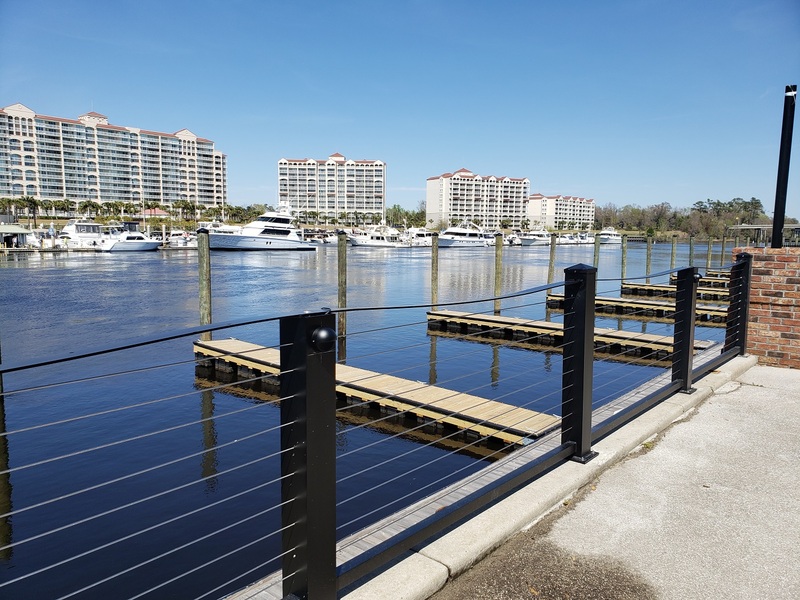 We've got something for you too, the addition of 19 finger docks, available for free day docking, year round. So with boating season right around the corner, it's time to get your vessel out of dry dock and float on down the Intracoastal Waterway to tie up and have some fun with us! So many new things happening, so come by foot, by car, by golf cart or by boat, but make sure you come to shop, dine, relax and unwind all at Barefoot Landing!